Simple design defies the Milano Screen. 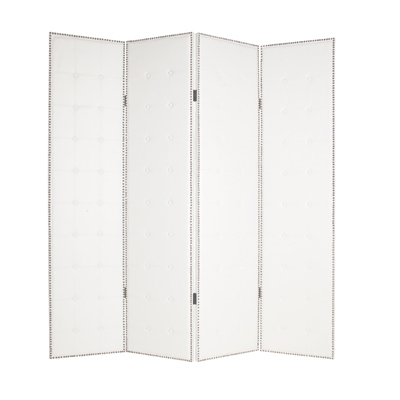 The Milano is a hgh design, 4-panel screen. 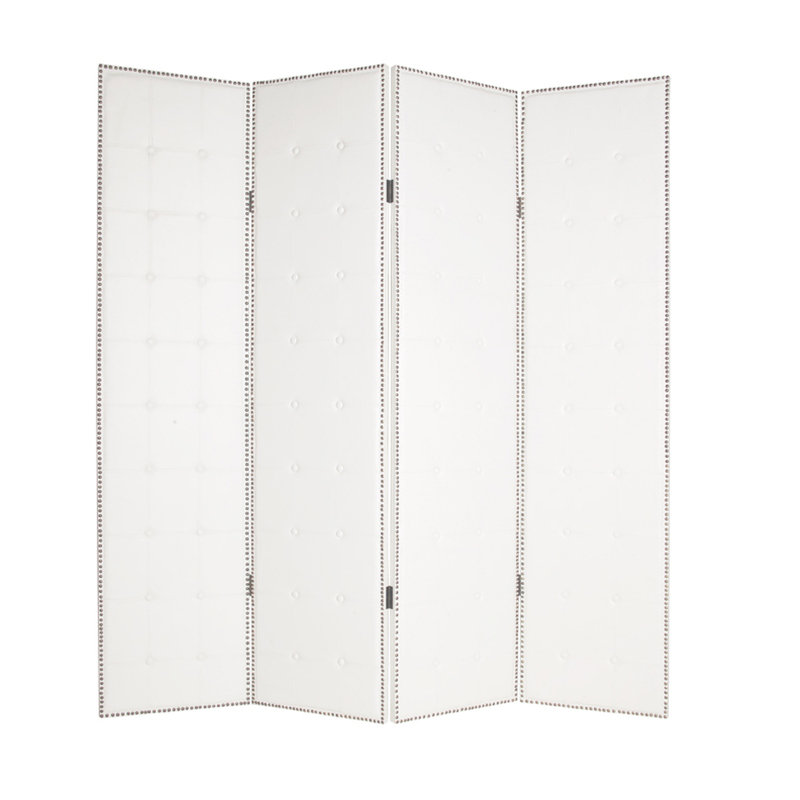 Each panel is stylishly designed with square white leather patterns accented with white leather wrapped buttons, all surrounded by nail head accents. This handmade screen is finished on both sides.